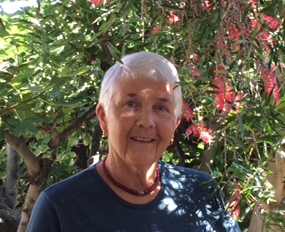 Janet Howie writes prose and poetry. She has a particular interest in haiku, haibun and haiga. Her work has won numerous awards.She has published two anthologies, Rotation (2004) and Footprint (2013). A third book rePresenting Nature, poetry and paintings, was launched at the 2018 Williamstown Literary Festival. By combining writing with her art, she explores the interconnections between nature and human nature. She is a member of Western Union Writers, The Society of Women Writers Victoria, and was on the WLF committee 2008-2011. Janet lives in inspirational Williamstown and is married to Ross. They have three children and nine grandchildren.